One evening in mid- August, 1968, a friend, Allan Gravelle, called me about an article in the Ottawa Journal on a new sport, Orienteering. The Montreal Orienteering Club was organizing the 1st Canadian Orienteering Championships at Camp Fortune on August 18 and conducting an Introduction to Orienteering clinic at Carleton University the next evening. I was unable to attend but Allan did and reported it seemed an activity worth trying and suggested we attend the championships and give it a try. 1st Canadian Orienteering Championships. On August 18, 1968, Allan his son Shawn and I made our orienteering debut in the Canadian Championships. The event was held on the original Camp Fortune map. The Event Centre and Finish were at the XC Ski Lodge. Allan and I were members of the Ottawa Valley Track Club and thought we could easily handle one of the longer courses but the organizers insisted we compete on the 2.9 km Beginner Wayfaring course. The Start was at the TV station at the top of the Camp Fortune Ski slopes. We were instructed that we must report to the Finish whether or not we completed the course. We thought we would blitz the course in 15-20 minutes and then try one of the longer ones. Then we were off to the 1st Control - Knoll, south side. We had received some basic instruction on compass use, map scale and contour interval but nothing on distance measurement. We went barreling down the road from the TV station stopping every so often to peer in the woods to try and detect a knoll with a red/white marker. After 50 minutes we had still not located the control and were now closer to the Finish than the Start. We decided orienteering was not for us and headed back to the Start to hand in our control card. As we made the last turn towards the TV station a woman crossed in front of us, climbed onto a small hill at the side of the road and stopped at a red/white marker. We checked the marker number and, lo and behold, it was the one we had been searching for. The knoll was not more than 150 metres from the Start and, in fact, could be seen from the Start. Re-energized at finding the control we continued and completed the course without further major problems. The 1st Canadian Championships results show the team of Allan, Shawn Gravelle & Colin Kirk placed 2nd in Junior Wayfaring in the time of 1:41:16 for the 2.9 course, overall 7th fastest of 17 groups competing in the various Wayfaring classes. At least 50% of our time had been spent searching for the 1st control. On numerous occasions I have stated that if I had not found the 1st control that I would have given up on orienteering and never returned – I think Allan had similar feelings. On May 3, 2009, I organized an event from the P7 Parking Area on Kingsmere Road, using an updated version of the Camp Fortune map. While hanging markers on May 1 my route took me close to the TV station – in 1968 two small wooden buildings, now a massive concrete structure surrounded by a 10 ft high chain link fence. As I crossed the road winding downhill from the station I came face to face with a small knoll – the 1st control location on the 1968 COC Beginner course. I climbed on top and stood reminiscing for a few minutes. It suddenly dawned on me that fate had played a significant role in the careers of Allan and I. Although the organizers had instructed us to report to the Finish we had been on our way to report back to the Start. If we had gone to the Finish we would not have found the 1st control. If we had not found #1 would we have given up on orienteering? But as everyone knows - What if’s are for losers. In the month following the Canadian Championships we participated in three Montreal area meets at Oka, St Benoit, Morin Heights, always as Wayfarers on the Novice course – Allan with son Shawn and I with another son, Paul. The final 1968 meet was the Ontario Championships in early October, near Kingston. There were only four categories: Senior Men, Senior Women, Junior Men, Junior Women. With no Wayfaring category we had to compete in Senior Men. In the space of 6 weeks Allan and I leapt all the way from Beginner Wayfarers to Senior Men category. A. The Start was in a tent. When your start time was called you entered the tent, copied your course from a Master Map then exited the tent through a rear door. Your time started from the minute you entered the tent. 3 An Evergreen Density – (Cedar thicket) It was necessary to crawl under the trees to reach the control marker. We did surprisingly well considering our previous experience had been on Novice courses. I placed 7th (1:51:04) and Allan 9th (1:56:58) of 26 competitors in Senior Men – a 9 km course. The terrain was much easier than the Gatineau and Laurentian regions: few boulders or cliffs, less hostile underbrush, excellent visibility and many open areas. I can’t remember if Allan started before or after me and didn’t see him until near one of the last controls, a fairly short leg in a hilly area. The control was between two hills with was a wide valley about the mid point – a large wide swamp filled most of the valley. The decision: “Do I go around on the left or on the left? Allan had taken a third option – straight through the swamp. He was in the middle of the swamp, up to his waist in water, slowly turning around and heading back the way he had come, taking care to keep his map dry and above water. I am quite certain my margin over him was gained entirely through his excursion in the swamp. 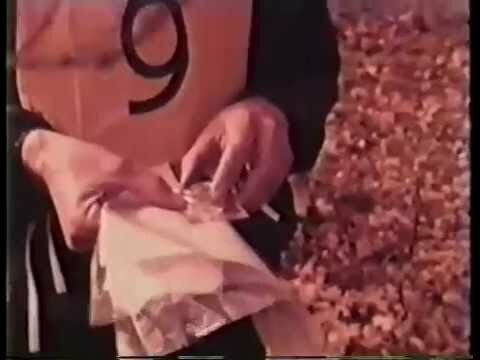 On the journey back to Ottawa from the 1968 Ontario Championships the first seeds were sown to start an orienteering club in Ottawa the next season. During the winter I received a job transfer to Montreal and when the 1969 season started I was a member of the Montreal Orienteering Club and Allan was on his own. He nurtured the seeds throughout the winter, planted the seedlings in spring 1969 and cultivated their growth until reaching maturity as a fully grown healthy tree and one of the most successful orienteering clubs in the country. Due to health problems Allan has not been active in orienteering for many years; most OOC members have probably never met him or unaware of his contribution and involvement with the OOC. Without his efforts and dedication there may not have been an OOC. 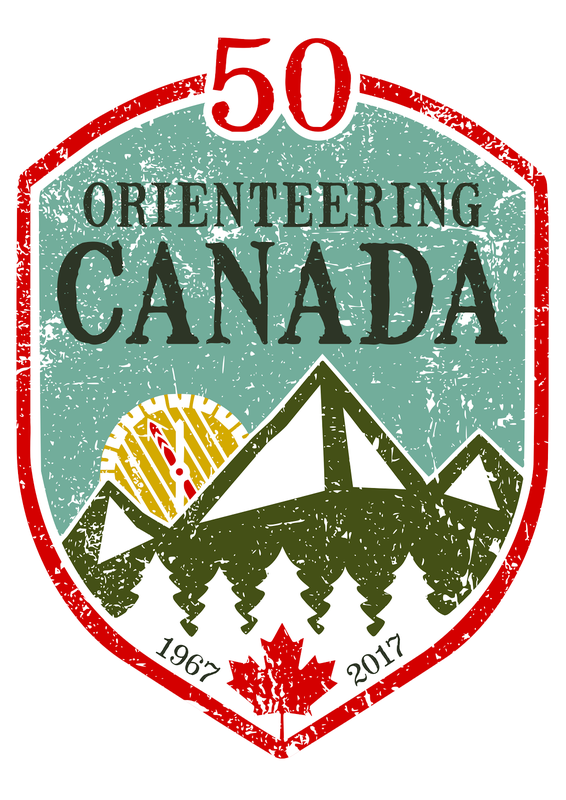 As we celebrate Orienteering Canada turning 50 years old, we are collecting images, maps and stories of the last 50 years of orienteering in Canada. Visit the "more info" page to learn how to contribute. Welcome to Orienteering Canada's Historical Collection. Use the "blog archive" (below) to browse and you can use the "labels" (on the left side) to find various types of entries: eg maps, photos, stories, by year, by region etc. You can also use the "search" box right below to search for something specific. All rights reserved. All content copyright by Orienteering Canada . Picture Window theme. Powered by Blogger.